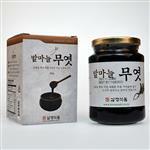 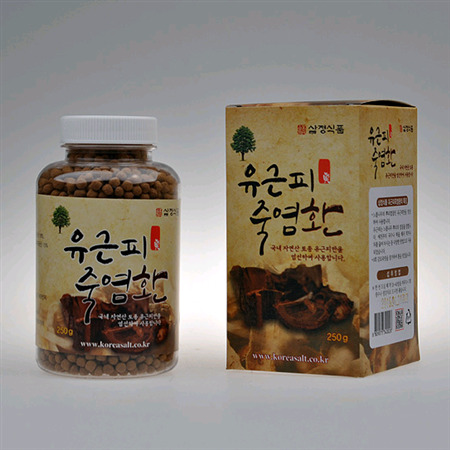 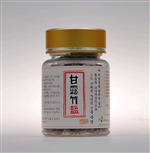 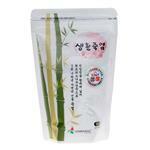 bamboo salt 9X 15%, garlic powder 18%, red elmroot and bark extract 49%, small healing bean 18%. 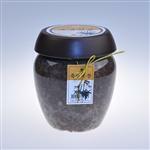 Reported benefits are to improve the health condition of arthritis and osteoporosis as well as polyps, eczema and other skin conditions. 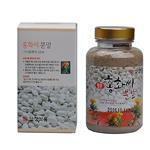 Take 15 -25 tablets with warm water or tea 30mins after meal up to 3 times a day.